Join us for Zounds the Balloon Artist! 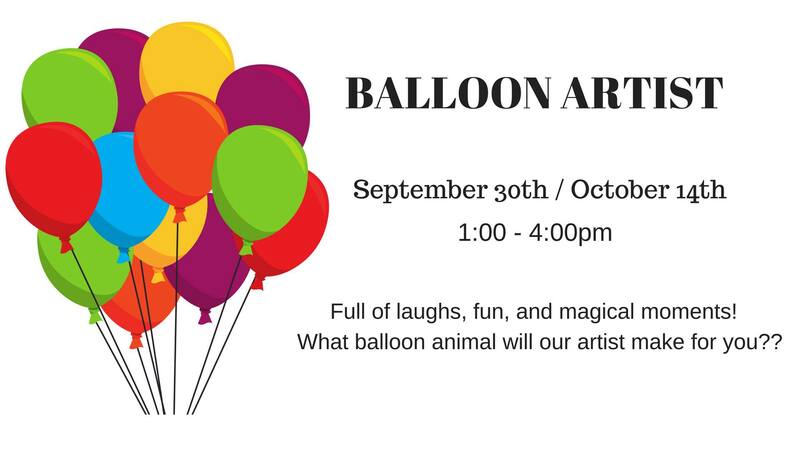 He will be creating balloon animals, hats, and more, from 1-4pm. His talents are endless!! He is excited to create your favorite balloon creations for you to take home! Come see him and bring your imagination!! * This event closes promptly at 4pm regardless of how many people are in line. Please plan your day accordingly.